Similar to applying for a job, though every job is different and requirements vary, there are a few "template" pieces you can prepare in advance to rock your next grant application. Within this guide we've provided a checklist of items, including samples, to walk you through the preparation steps. 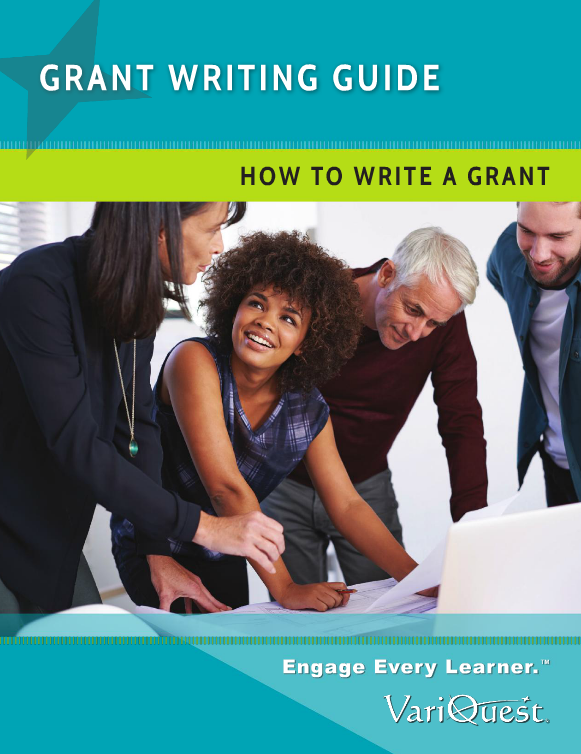 Download our eBook, "How to Write a Grant", to learn about what the application process entails, view samples of the pieces that make up an application, and of course - read about common grant opportunities and locate online resources for matching your needs to funding sources available to your school! It's completely free - so download it, save it, and let us know what you think! We've made it our mission to support yours - in a quest to engage every learner. Want to speak with an expert on this topic? Request a Meeting with one of our education consultants to talk more about funding streams available in the edusphere, and how the VariQuest Visual and Kinesthetic Learning Tools perfectly align with many of those opportunities!